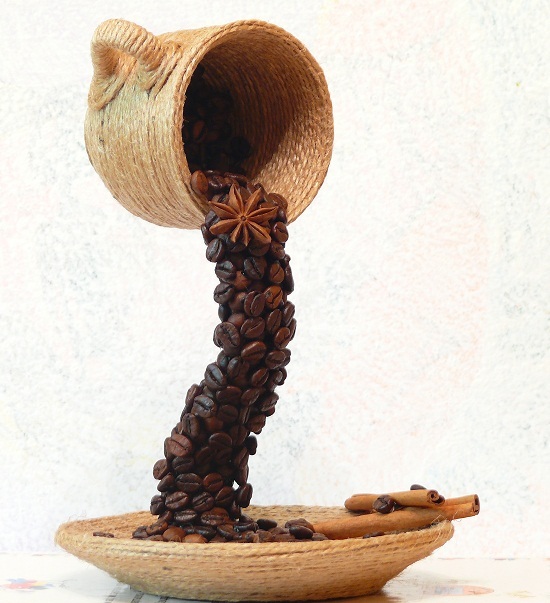 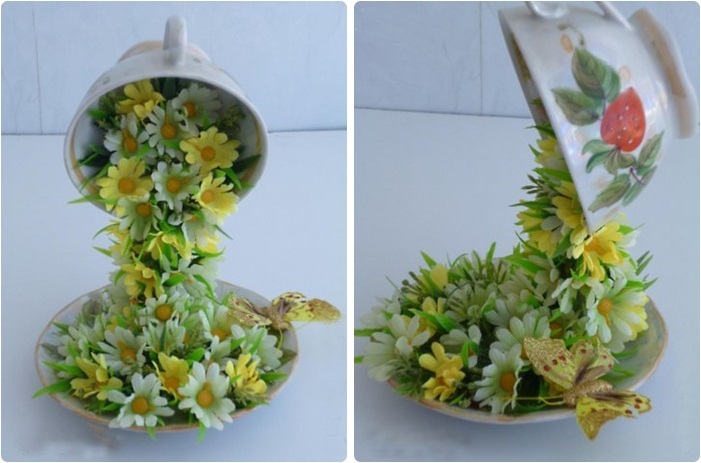 these cute coffee cups, that are flying in the air, spilling coffee beans and flowers in their saucers. 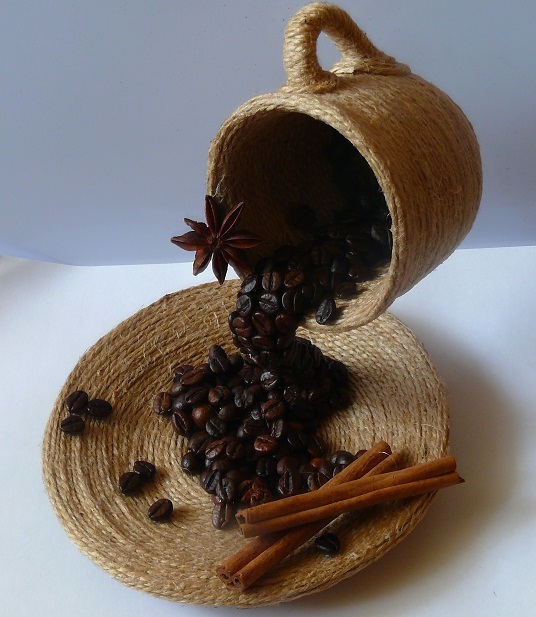 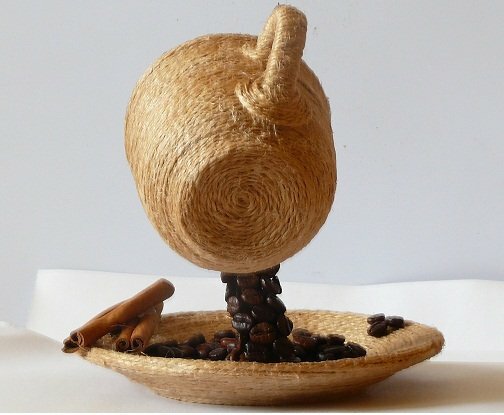 You need: coffee cup and saucer, two-wire cable – about 18-20 cm (depending on the height of the cup), scissors or wire cutters, hot glue gun, faux flowers. 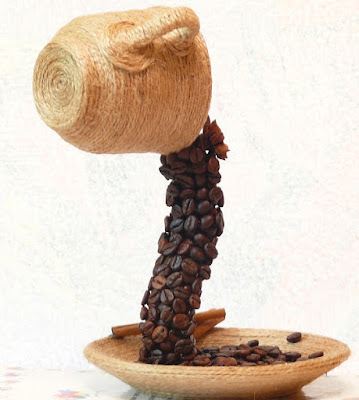 Bend the wire as shown and glue it with a large amount of hot glue to the coffee cup. 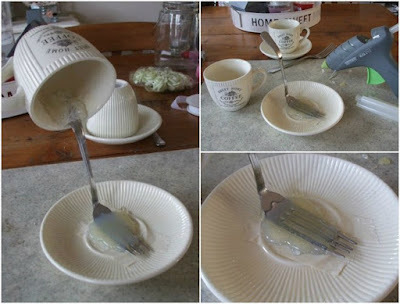 Once the glue is completely dry, glue the other end of the wire to the saucer. 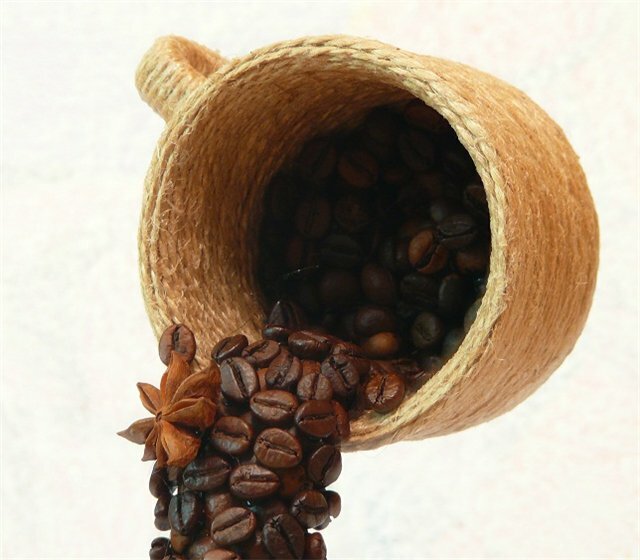 The cup should be leaned just slightly forward in order to give the composition stability. Then prepare the artificial flowers for decoration of the composition. Glue the flowers by starting from the bottom of the cup. 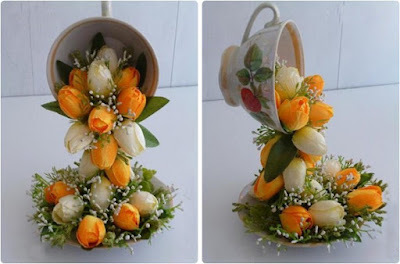 Fill the cup with flowers and greenery glued closely as possible.Then proceed with the wrapping wire. Glue flowers around the wire, they will add volume. 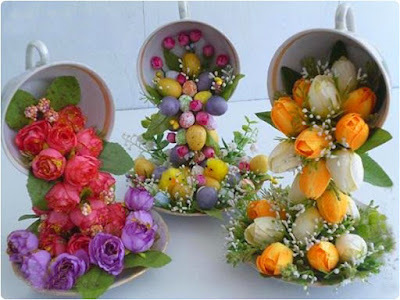 Then move on to the saucer and arrange the flowers so that they look like they were spilling in it. 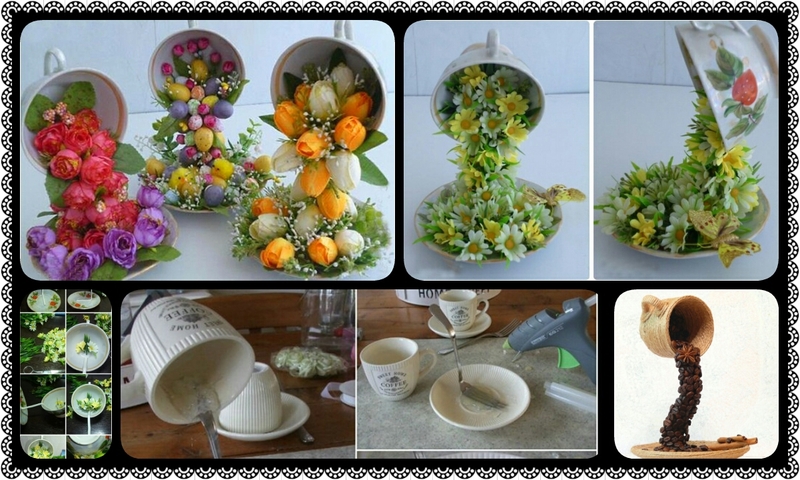 Once all the flowers are glued, if necessary, add more greenery. You can add also a butterfly or other embellishments. 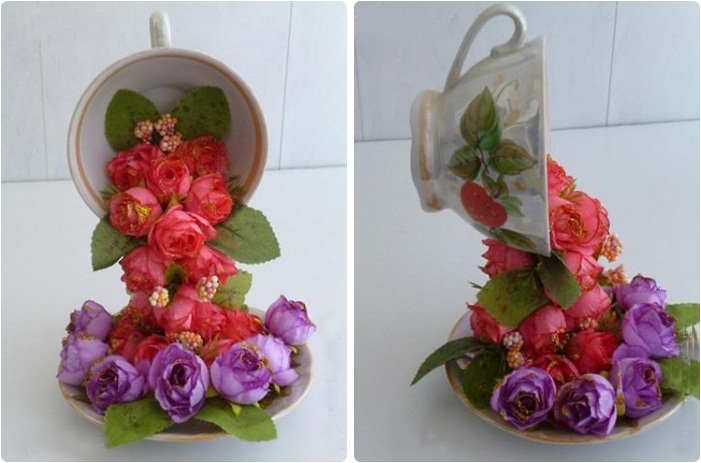 And our flower cup is ready! 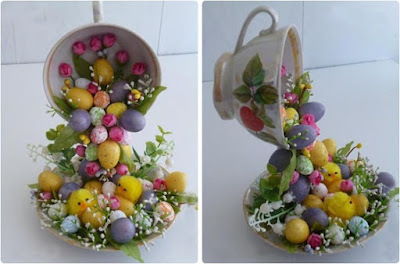 The same way you can make the flying cups with other flowers with different colors, or you can make just them with Easter eggs and chickens.